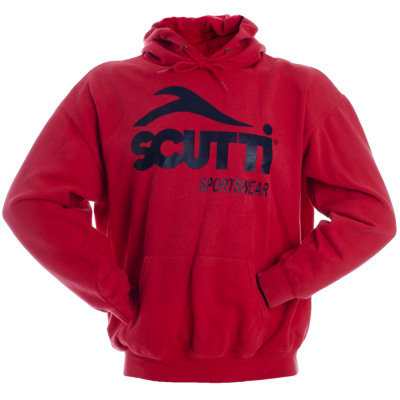 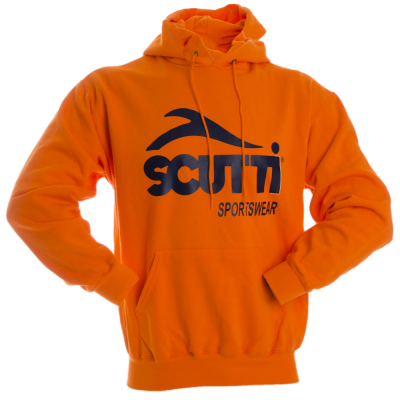 Hooded sweatshirt with tighter fit hood, with kangaroo pouch pocket. 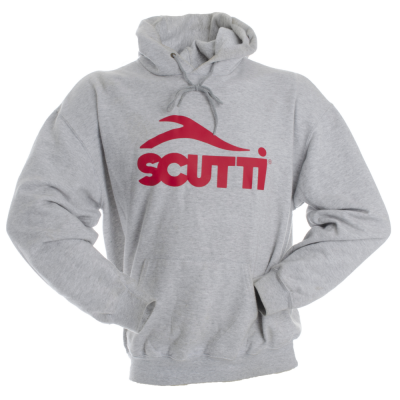 Material 80% cotton 20% polyester. 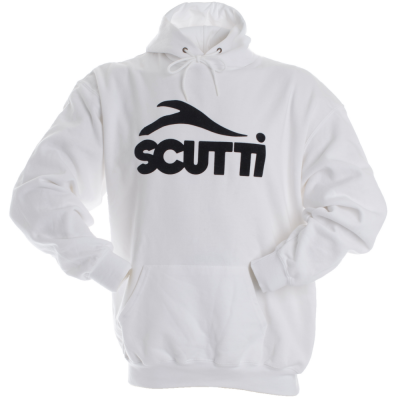 medium weight 280 gsm, Scutti logo in vinyl print.